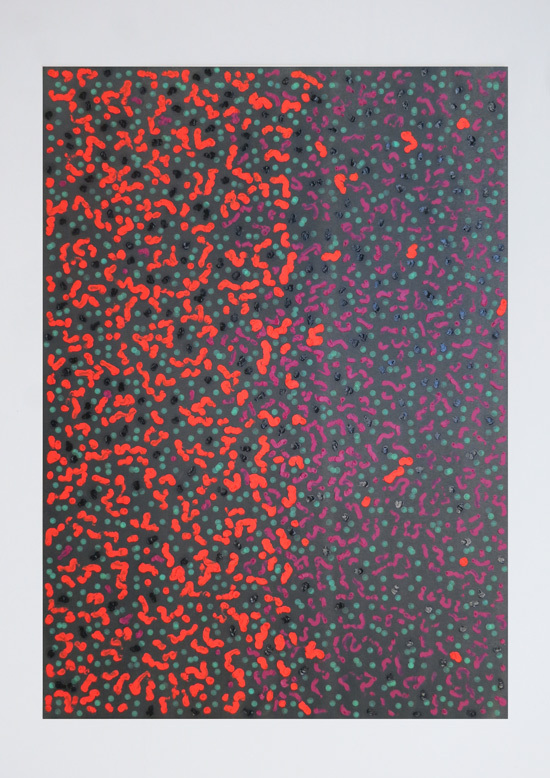 untitled (Hydra), 2018, oil and watercolors on paper, 118,9 x 168,2 cm. 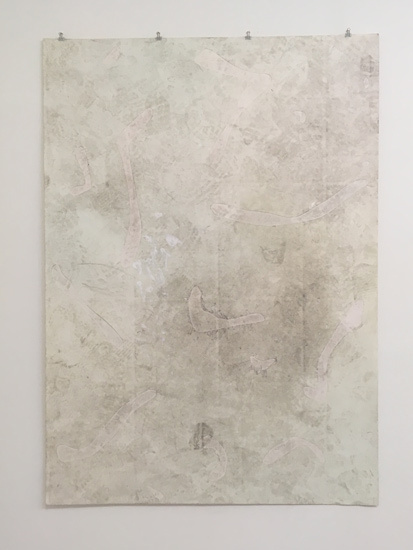 untitled, 2018, oil and pen on tracing paper, 168,2 x 118,9 cm. 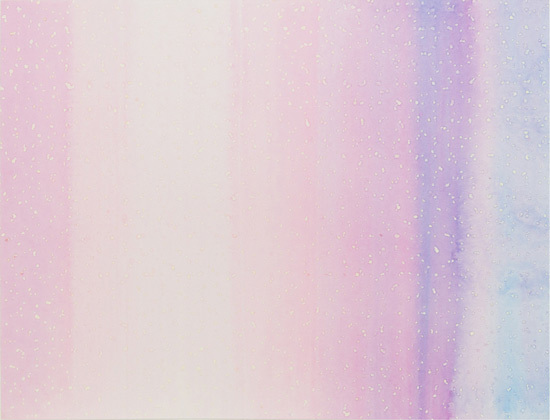 untitled, 2018, oil and watercolors on paper, 168,2 x 118,9 cm. 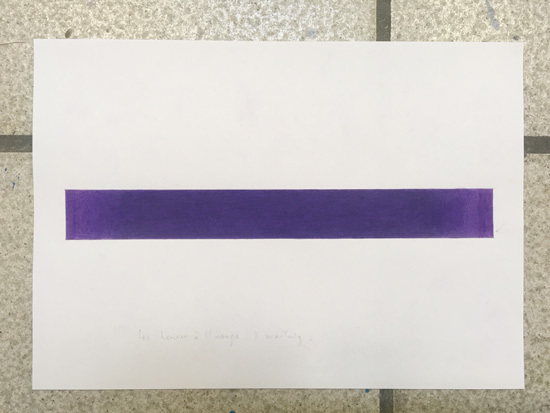 untitled, 2019, oil and marker on tracing paper, 168,2 x 118,9 cm. 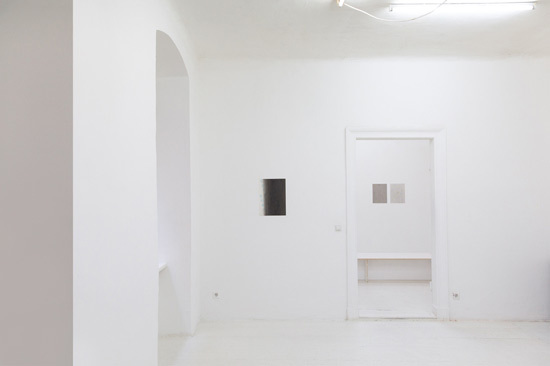 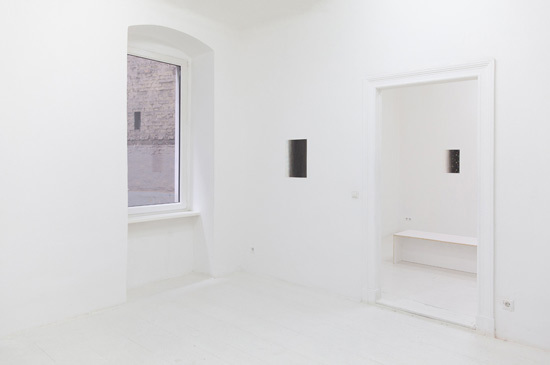 The Retreat of The Eye, 2018, exhibition view at Sox, Oranienstrasse Berlin. 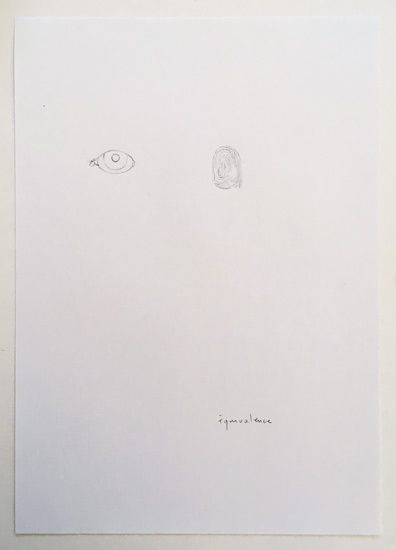 untitled, 2018, color pencil on paper, 21 x 29,7 cm. 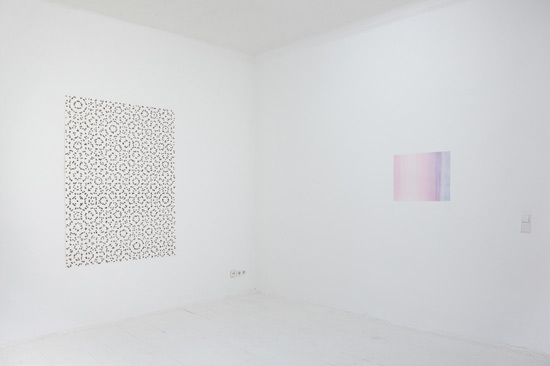 sous influence, 2018, exhibition view at Hochparterre, Berlin. 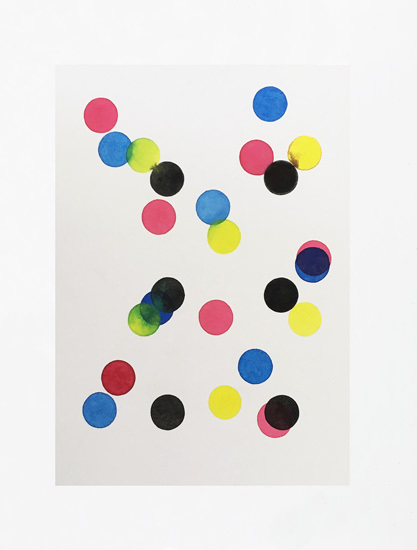 untitled, 2018, watercolors on paper, 44 x 32 cm. 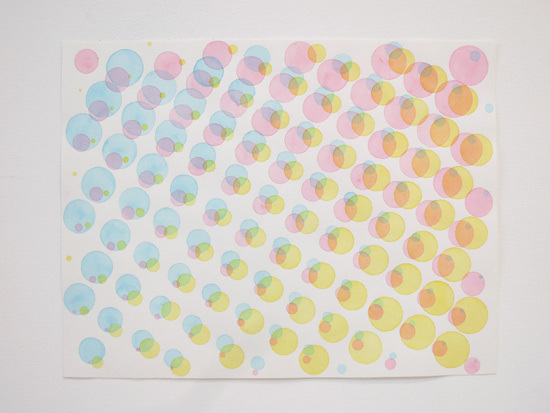 untitled, 2017, watercolors on paper, 168,2 x 118,9 cm. 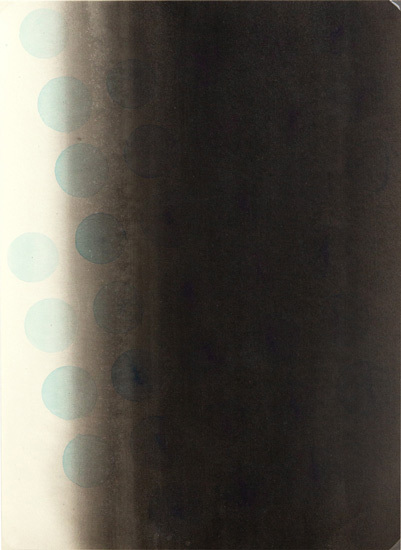 untitled, 2016, watercolor and permanent masking medium on paper, 46 x 60 cm. 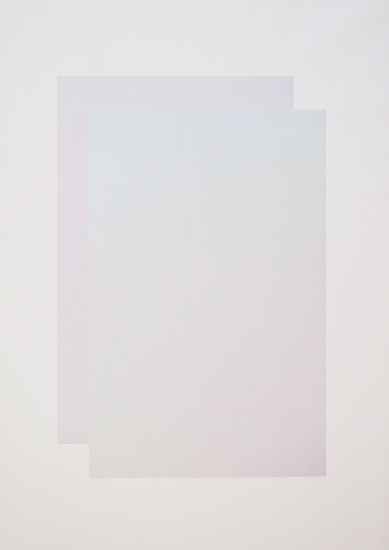 untitled, 2017, watercolors and acrylic on paper, 168,2 x 118,9 cm. 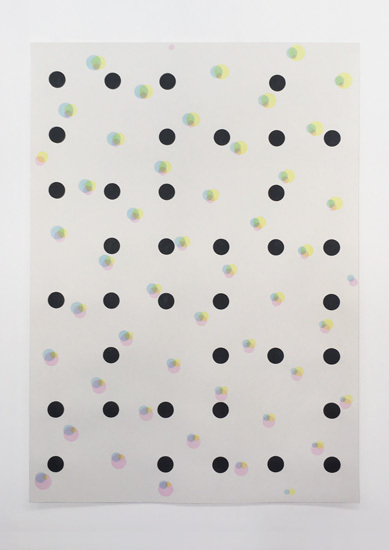 untitled, 2016, watercolors on double paper, 98 x 67 cm. 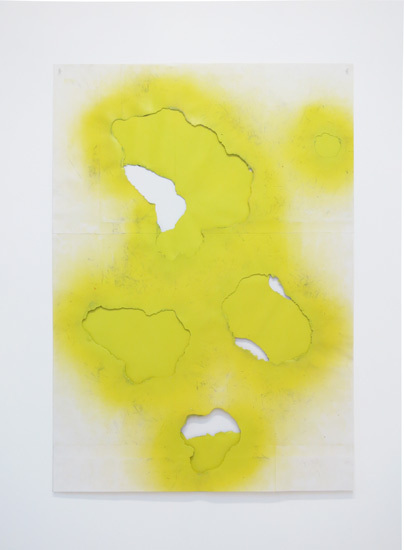 untitled, 2016, mixed media on paper, 168,2 x 118,9 cm. 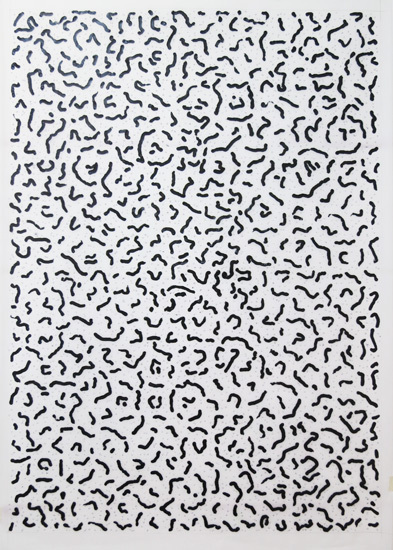 untitled, 2017, acrylic on paper, 44 x 32 cm. 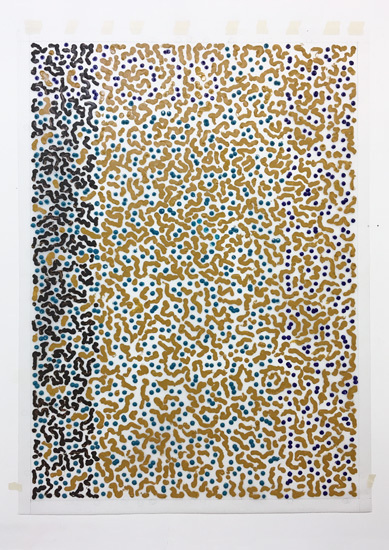 untitled, 2017, watercolors on paper, 28 x 34 cm. 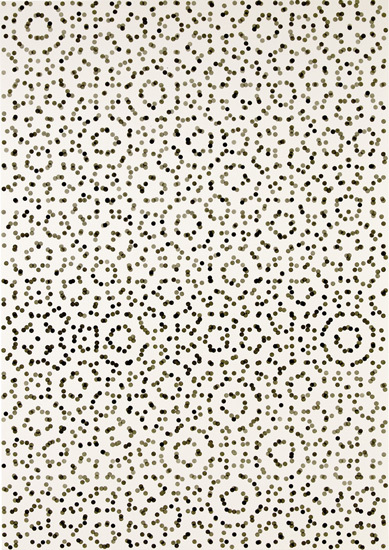 untitled (center), 2017, watercolors on paper, 28 x 34 cm. 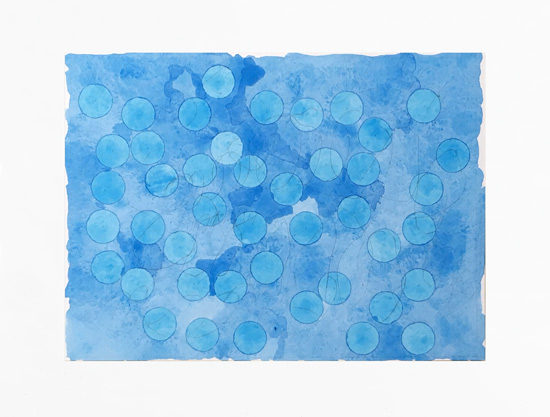 untitled, 2014, watercolors on paper, 27 x 35 cm. 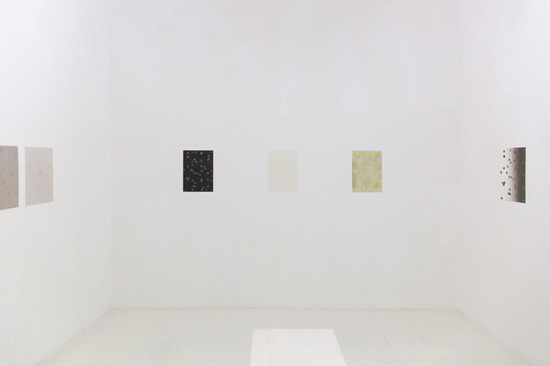 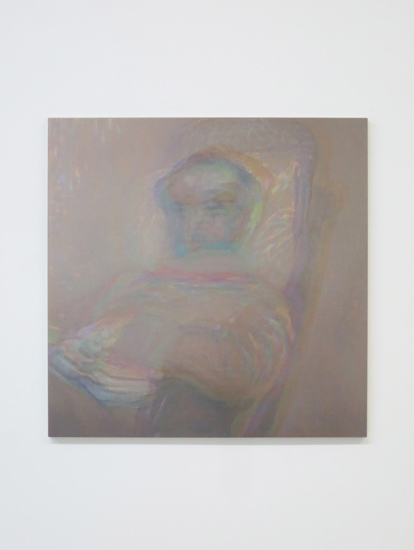 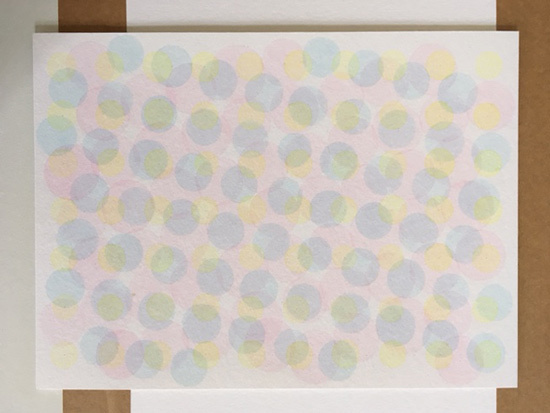 aurore kupka, 2015, color print on aluminium, 79 x 79 x 3 cm. 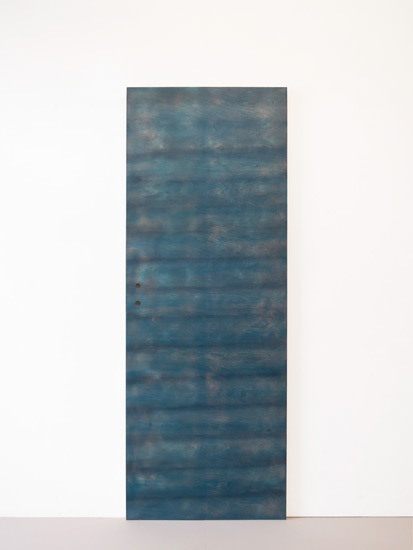 untitled (transportation), 2015, colored varnish on wood, 198 x 73,5 x 4 cm. 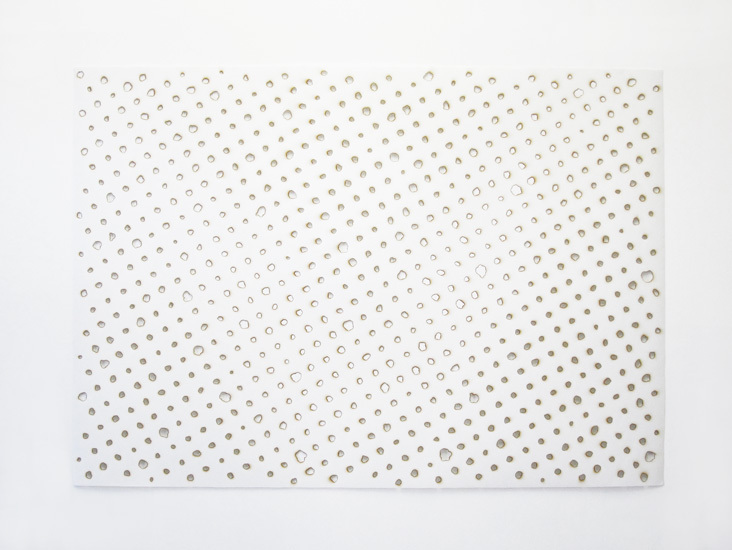 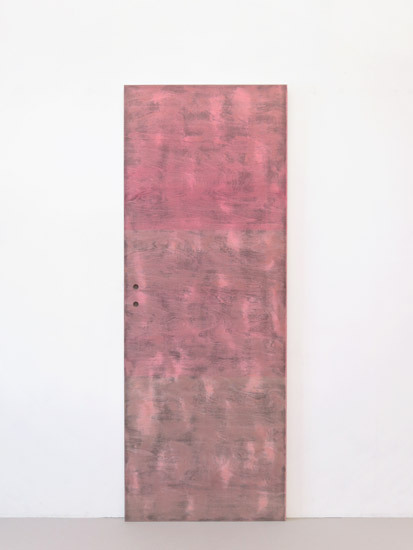 untitled, 2015, colored varnish on wood, 198 x 84 x 4 cm. 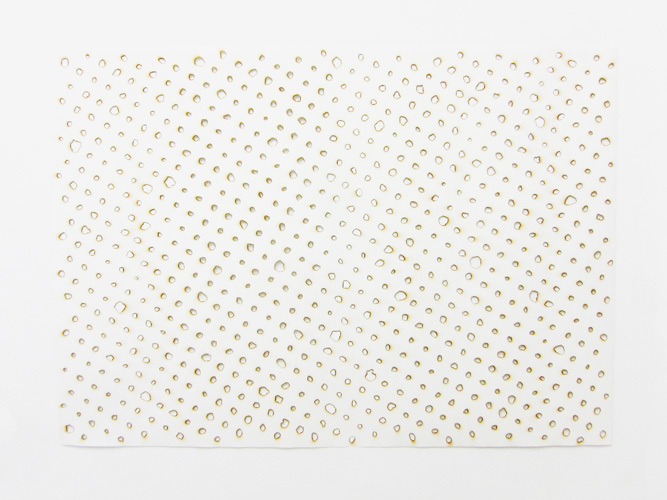 untitled, 2015, colored varnish on wood, 198 x 73,5 x 4 cm. 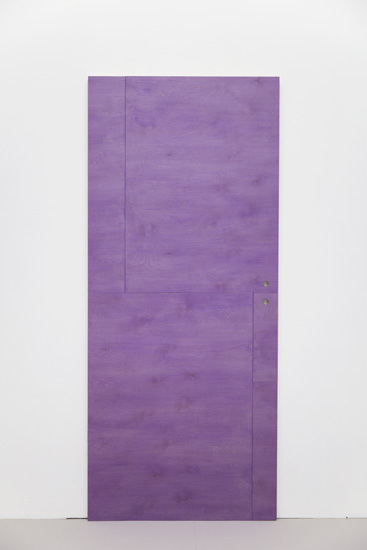 untitled, 2015, colored varnish on wood, 198 x 25 x 36 cm. 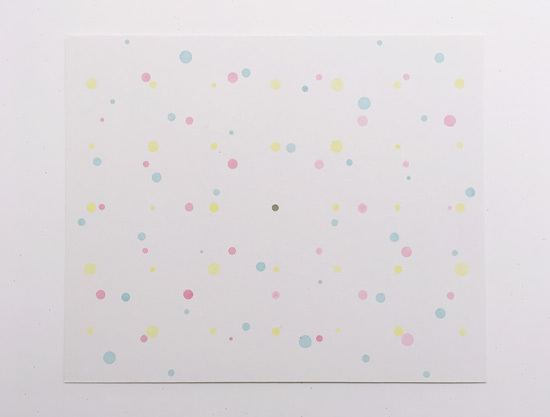 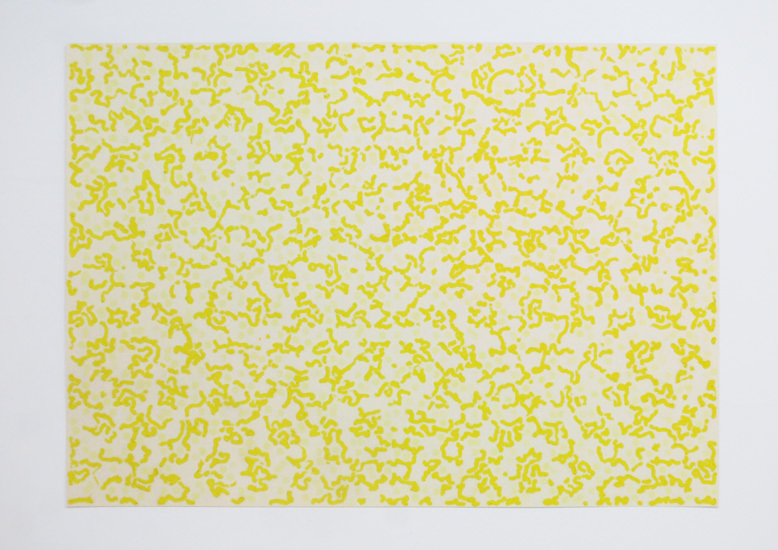 untitled, 2015, spraypaint on folded paper, 84,1 x 59,4 cm. 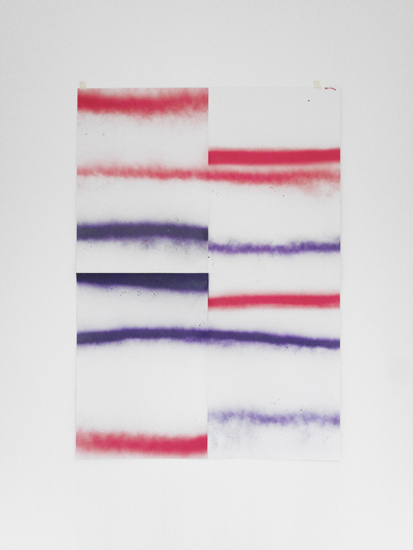 untitled, 2010, spraypaint on folded paper, 70 x 50 cm. 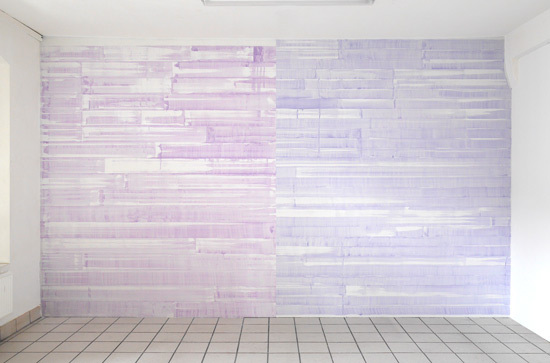 untitled (DWP-purple), 2016, acrylic paint on wall, variable dimensions. 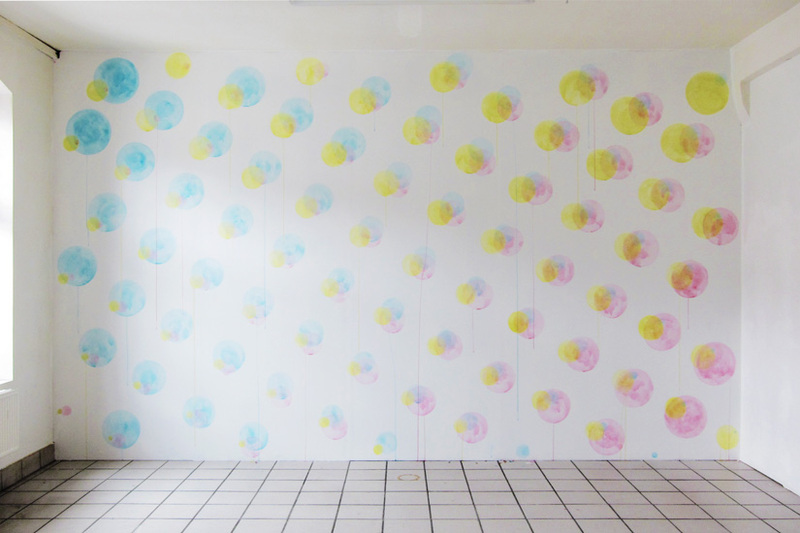 comme le charme est charmant, 2012, acrylic paint on wall, variable dimension. 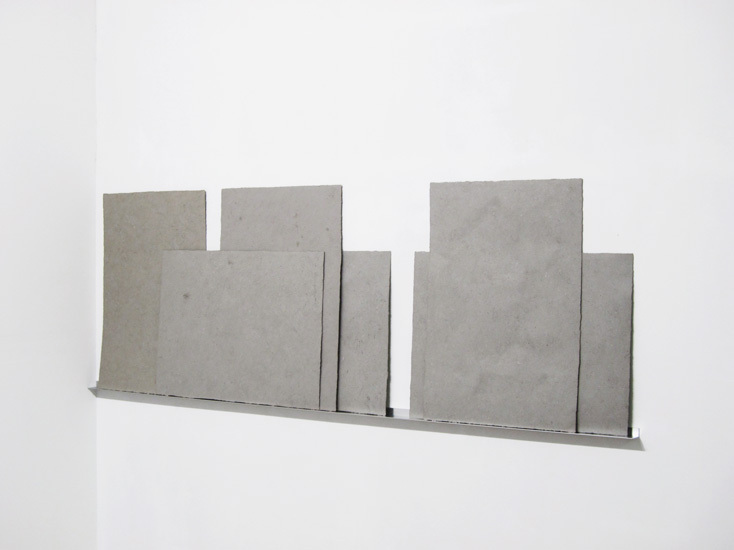 untitled, 2015, burned paper, 168,2 x 118,9 cm. 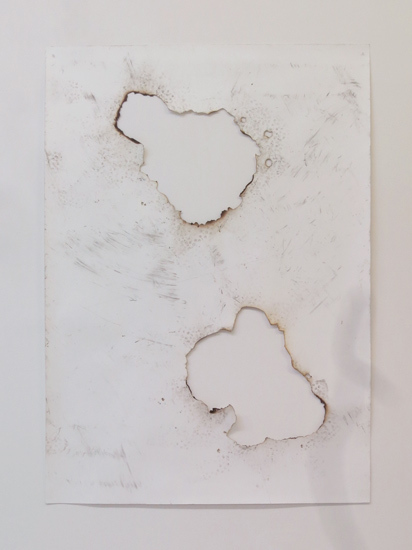 untitled, 2013, cigarette burns on paper, 118,9 x 168,2 cm. 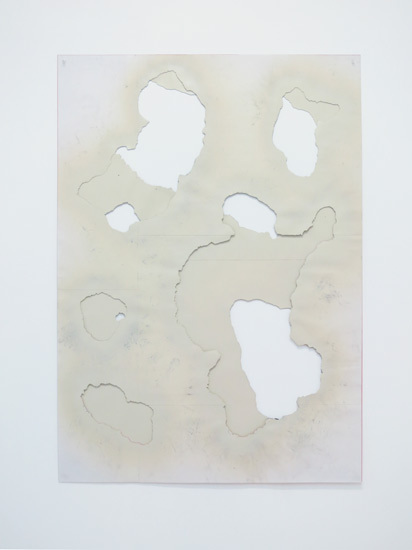 le loup, 2013, cigarette burns on paper, 118,9 x 168,2 cm. 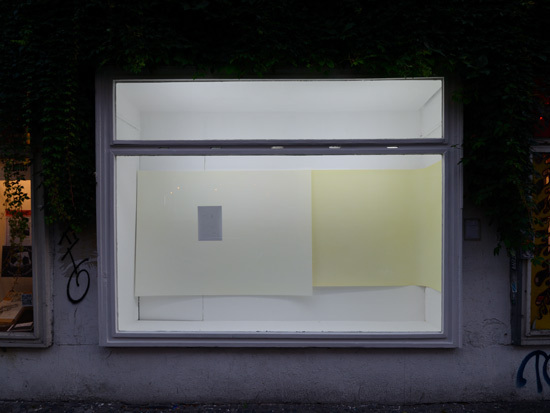 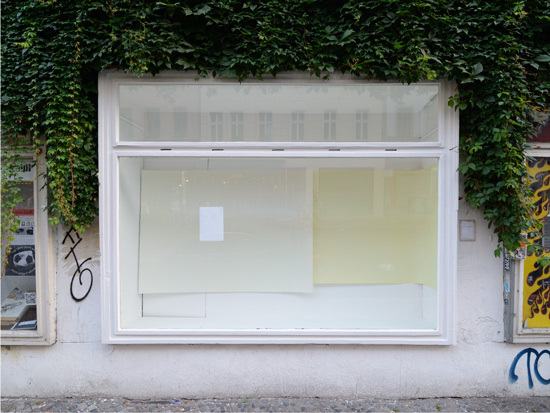 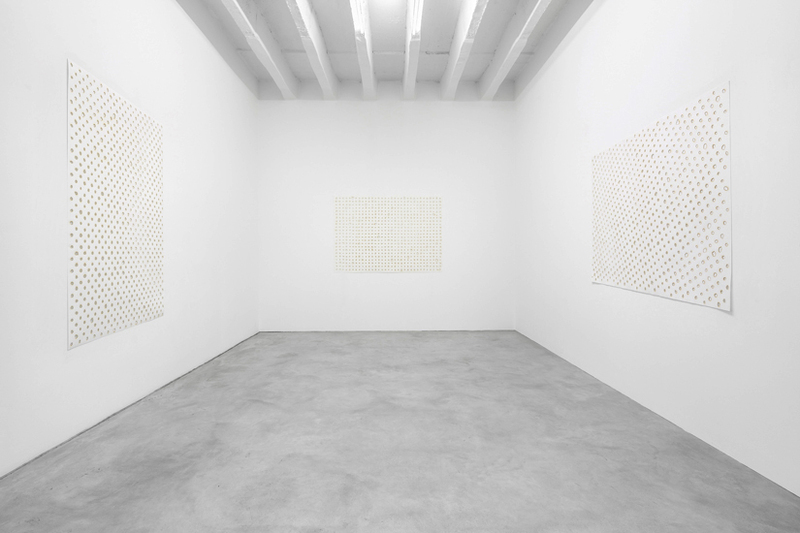 Everything That Has a Name, 2012, exhibition view at Gallery Nordenhake Berlin. 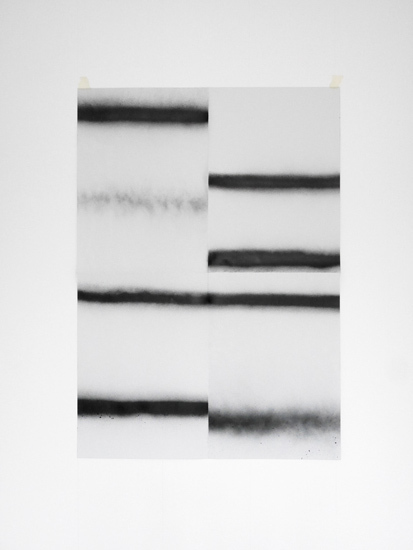 contre-image, 2012, cigarette burns on paper, 118,8 x 168,2 cm. 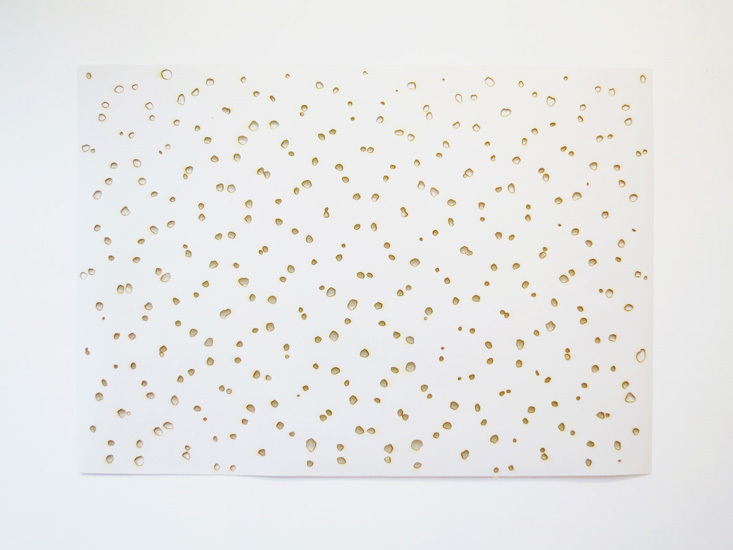 hermine, 2012, cigarette burns on paper, 168,2 x 118,9 cm. 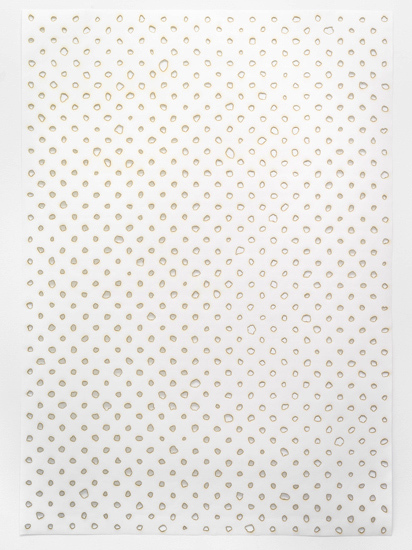 schnee, 2011, cigarette burns on paper, 118,8 x 168,2 cm. 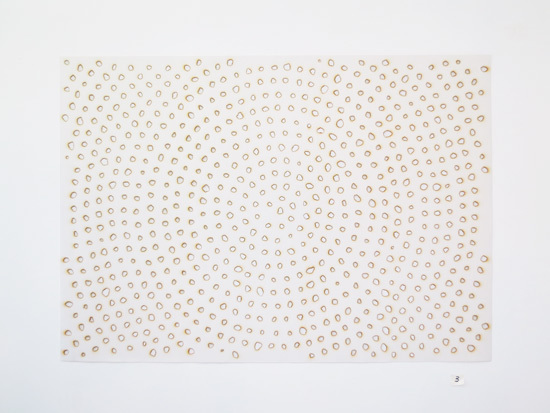 charme, 2012, cigarette burns on paper, 118,8 x 168,2 cm. 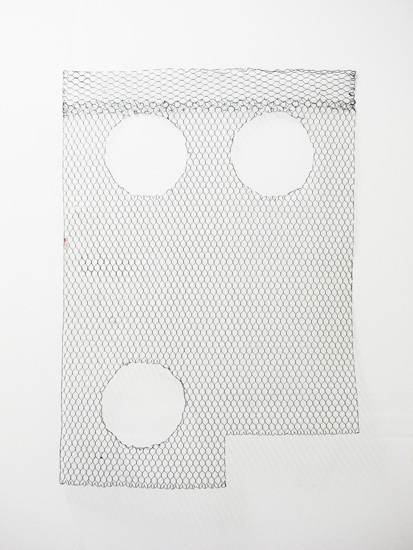 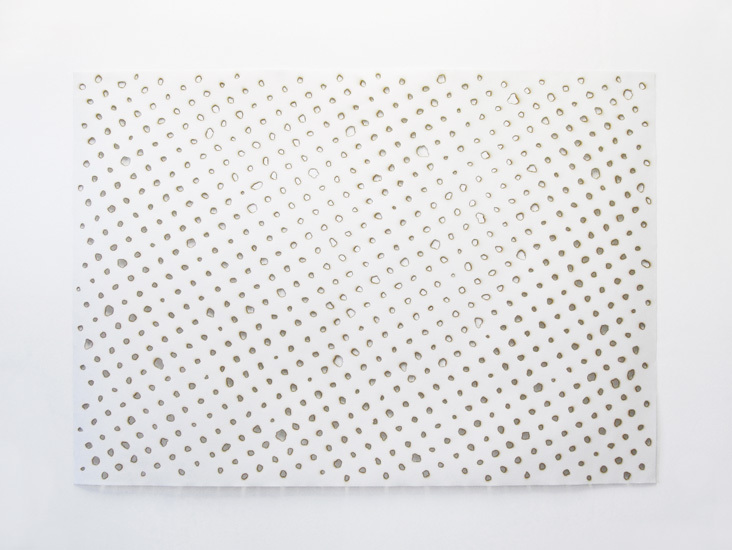 shadow, 2011, wire mesh, 102 x 71 cm. 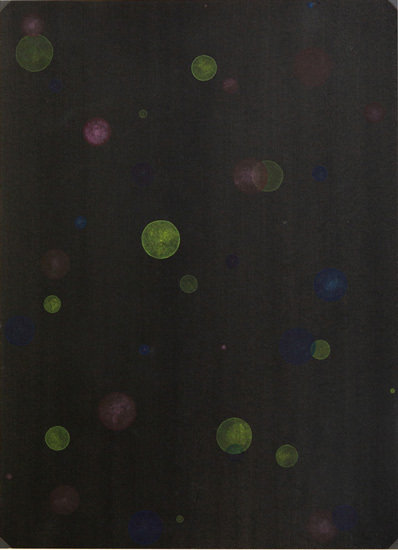 untitled, 2010, spray paint on burned paper, 118,9 x 84,1 cm. 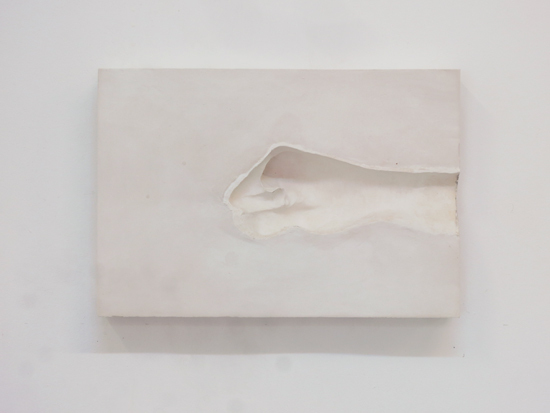 untitled (hand to the right), 2012, plaster monted on wood, 21 x 31 x 6 cm. 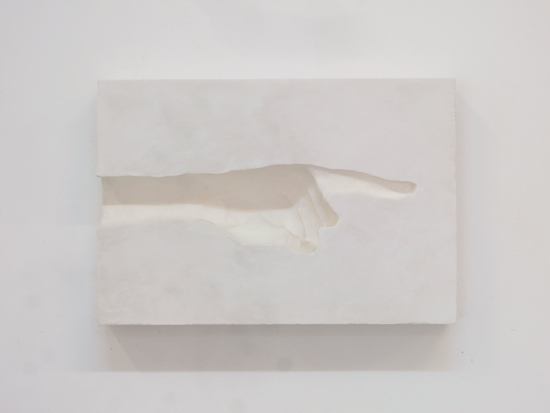 untitled (hand to the left), 2012, plaster monted on wood, 21 x 32 x 6 cm. 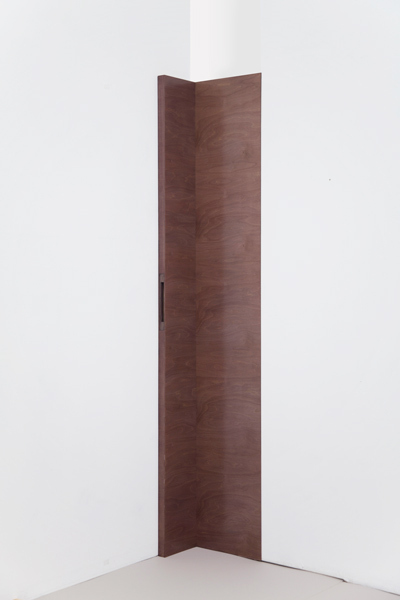 i am not a citizen, 2010-2014, papier-mâché, DINA1, aluminium rod, variable dimensions.